Mr A was an unusual patient. I had just completed an operation and was walking into my clinic when a boyish-looking man dressed in office attire stood up and followed me from the lift lobby into my consultation room. There was a look of trepidation on his face and his brows were knitted with worry. Even before I could sit down, he started telling me there was a shadow in his field of vision that would not go away and that he had been experiencing it since that morning. It was a good thing he sought help: He had a retinal detachment and needed urgent surgery on the same day. When I broke the news to him, his initial reaction was quite out of the ordinary. Instead of asking about the operation procedure and its risks and benefits, his first question was when he could return to work after the surgery. I found out later that he was a high-flying investment banker. I told him that his eye condition was likely due to his high myopia, or short-sightedness. 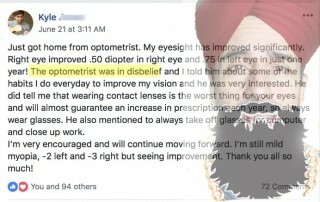 He replied with complete disbelief: “Doc, this cannot be possible as I have been cured of my myopia after I had Lasik 10 years ago!” Interestingly, Mr A had earlier denied having had any form of eye surgery. However, the edges of the cornea flaps, created during the Lasik procedure, was a giveaway when I examined his eyes. The examination of the back of his eyes (the retina) also revealed thinned-out layers, which was consistent with high myopia. 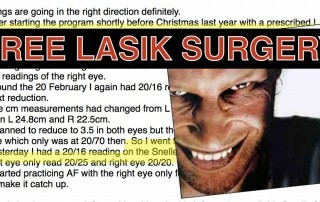 He said he had to wear glasses with thick lenses of about 1,000 degrees each before his Lasik surgery. A week prior to the shadow appearing in his field of vision, Mr A saw “flashing lights”, little spots and cobweb-like structures. These are warning symptoms of a retinal problem, which could indicate a retina tear or detachment. Mr A went on to have an uneventful surgery to repair his detached retina, and was up and about in his office two weeks later. He was fortunate to have sought medical treatment early enough – before the detachment affected the central part of his retina. Otherwise, the visual symptoms would have been worse. Instead of a shadow seen in the peripheral field of vision, he would have experienced blurred vision. Some patients have even described it as having a “curtain coming down” in front of their eyes. At that stage, the chances of recovering one’s vision, even after surgery, may be reduced. Patients with high myopia of more than 600 degrees, like Mr A, are at higher risk of serious and potentially blinding conditions. These include retina tears and detachments, bleeding under the retina and low-pressure glaucoma. 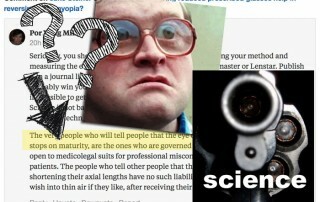 There are many misconceptions that Lasik is a cure for myopia. In fact, Lasik and other refractive procedures, such as implantable contact lenses, merely remove the need for spectacles or the dependence on external contact lenses. The internal structure of the eye remains unchanged. A thinned-out retina from high myopia will remain just as thin after Lasik surgery and other refractive procedures. 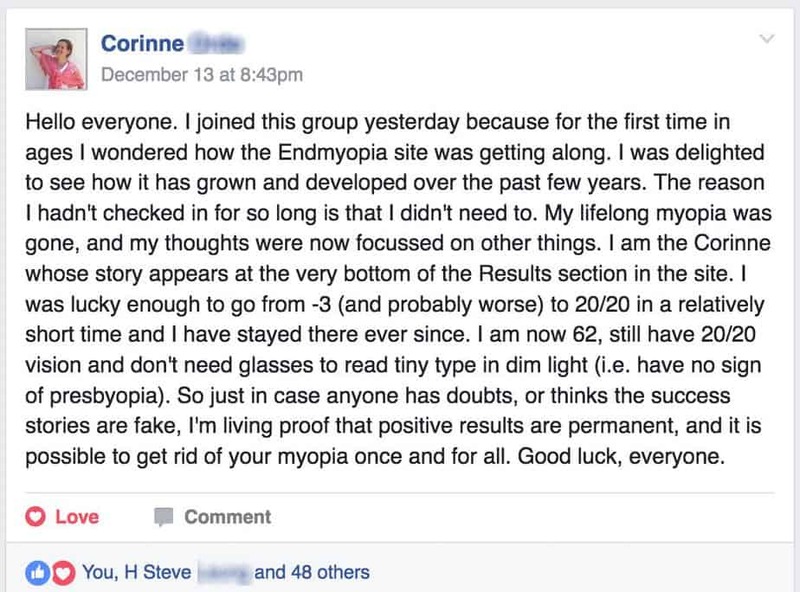 Hence, the risks of eye conditions associated with myopia will remain, even after Lasik surgery. Singapore is the myopia capital of the world as it has the highest prevalence rate of this eye condition. 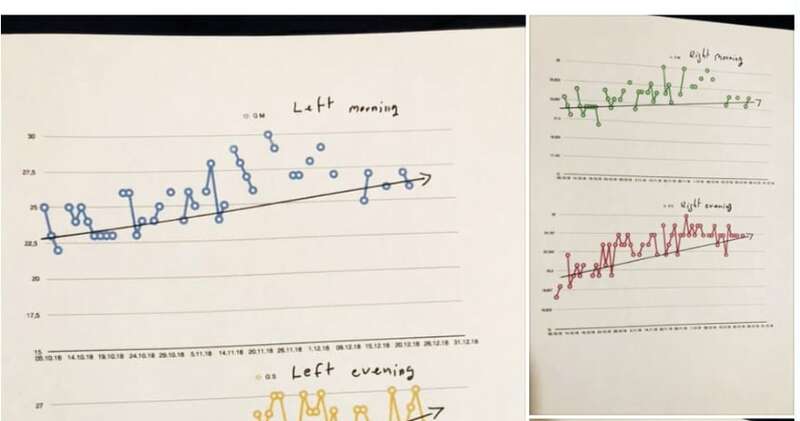 Studies have shown that one in three five-year-olds in Singapore is myopic, and this figure increases to an alarming 80 per cent in 18-year-olds. Tough story. Not that unusual, unfortunately. I left out some of the end of the article, musing about the possible causes of myopia, and leaving the usual ambiguous advice. Even many professionals who care and wish to help you, just don’t know of a better narrative for their patients. And that’s really it. The advice and care you receive is only going to be as good as the expert you trust to hear it from. 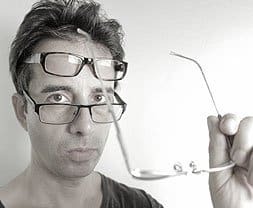 Even though much of optometry and ophthalmology is “branded” as credible with terms like ‘doctor’ and ‘prescriptions’, all that is just the marketing. Past that, you get exactly as good advice as the person you listening to has received in his or her education. 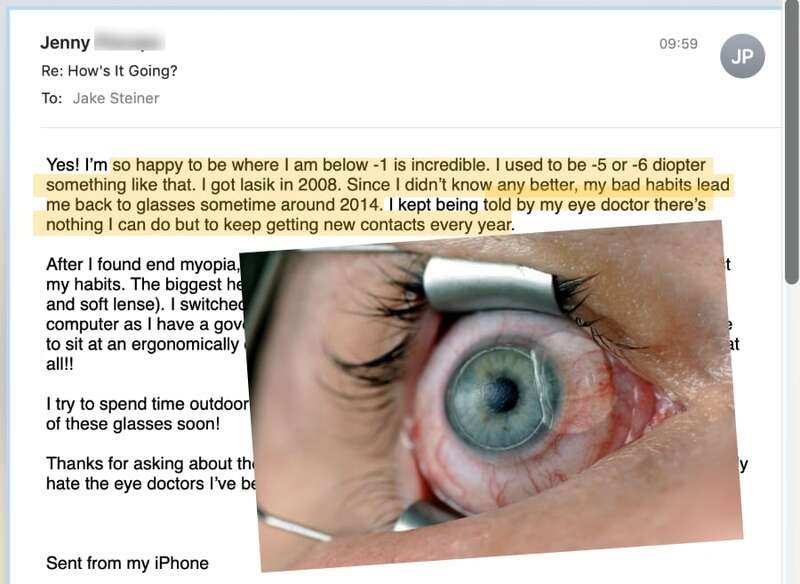 If you haven’t had LASIK and want to feel good about it, read about Morris Waxler, chief FDA scientist in charge of LASIK reviews. Waxler went so far as to call for a criminal investigation on the whole LASIK topic, stating that it should have never been approved. One guy will sell you Statin drugs for your high cholesterol, another might tell you to cut animal products from your diet. One guy will laser your eyes, another will tell you about biology and stimulus. In the end it’s up to you to find people worth trusting.